September 21, 2017 September 2, 2018 Bobby D.
What could be nicer than heading for the beach on a sunny day, with everything you need packed in a beach bag? There is just one detail I want to add, and that is a boombox. The good old school boombox is the perfect entertainment option for a day on the beach. While many may prefer listening to music on their iPhones or iPods, a boombox is so much better. It will not only make you look cool, but it will also provide you with the best opportunity to entertain your friends, too, and even make new ones. What I want to share with you now is a small list of pointers that will surely help you get the best boombox for your needs. What kind of boombox is best for you? People have different tastes when it comes to music, so it is natural that they have different tastes when it comes to selecting a boombox. You may think that these music players belong to an era long gone, but there are modern boomboxes produced by well known manufacturers that pack the latest technologies under the hood, while maintaining that vintage look that makes them so popular. Of course, if you really want to hold on to your hipster badge, buying a vintage model is highly recommended. Just don’t expect it to work flawlessly, and sound quality may not be the best either. Models that work with cassettes are vintage enough to be to your liking, but again, don’t expect music from old cassettes to sound like new CDs. If you want to come closer to our age, I suggest picking a CD boombox, or even an MP3 model, because this is how you will be enjoying the best of both worlds. Since you are going to take your boombox to the beach, get one with a battery that will last for at least a couple of hours. Nothing could be more annoying that having your boombox die on you while everyone is having fun and expecting the party to never be over. Basically, you will feel as destitute as the famous cartoon character King Julien when his beloved boombox died on him, that one time. 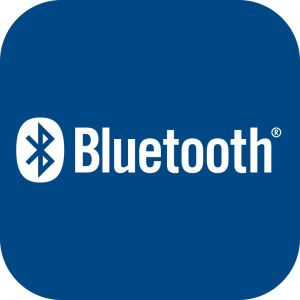 Life’s luxuries soon become necessities as history teaches us, and this is especially true when it comes to Bluetooth. Get a boombox with Bluetooth capabilities so you can easily stream music on your player, directly from your smartphone. For some more tips, you could also check out the Ebay guide. September 19, 2017 September 16, 2017 Bobby D.
Have you heard of portable Bluetooth speakers? Ever since I learned there was such a gadget available, I wanted one. Of course, many would argue that paying for extra speakers is an expense that does not exactly justify itself, but I beg to differ and I will explain it to you right away. I know you must already have a surround system at home, as well as headphones, so where do portable Bluetooth speakers fit in the picture? Well, I must tell you this: these speakers are great for any situation, and after using them only a couple of times, you will not want to leave anywhere without them. But aren’t they unreliable? That may be the next thing you want to ask me. Back in the days, the first models of the kind were kind of bad, and their low battery life didn’t justify getting such speakers. A lot has changed since them and today you can find on the market some really badass speakers and you won’t have to break the bank for them either. Do you know how many places you can take the speakers with you? I even use them in the shower, because I like listening to great music. The sound quality is excellent and I have nothing to complain about. Now, I know that you cannot just enter any electronics store, see some speakers and take them home with you. Most probably, you will end up with a low quality product that will disappoint you. What I recommend is to browse around for products with plenty of reviews from users. They will give you a clear idea about what models really fair well, especially in regards to battery life and sound quality, the most important features. Also, you can try sticking to well known brands because no manufacturer will compromise their hard earned reputation by making unreliable portable Bluetooth speakers. Here is something I like having in Bluetooth speakers: cylindrical design. This way, the sound emitted has a 360 degree range, so you will hear it well, no matter where you are positioned versus the speakers. I also prefer my speakers to be waterproof, since, as I told you, I like listening to music in the shower. Also, if you plan on taking them along with you on trips to the great outdoors, a more rugged model, and waterproof, on top of that, will surely serve you well. Don’t forget about decent battery life, and you will be all set.